KAMPALA – The motion by John Baptist Nambeshe (Manjiya County) seeking leave of Parliament to introduce a private member’s bill entitled ‘The Religious Organisations Bill 2019’ that seeks to provide a legal framework for registration, regulation and management of religious organisations received protest from MPs who argued that the move is a wastage of time. While presenting the bill on the floor of Parliament, Nambeshe said that the proposed Religious Organisations Bill doesn’t contradict with constitutional provisions on freedom of worship but only seeks to harmonise the activities in religion. However, when his motion was put up for debate, a number of MPs rejected it with Janepher Nantume leading the protesting team who rejected the proposal to have a Bureau set up to register the various denominations saying it would lead to duplication of agencies that Government is fighting to reduce. Milly Mugeni (Butaleja Woman MP) rejected the motion saying that had Nambeshe brought a bill on the landslide in Bududa, Parliament would have supported him overwhelmingly, and said the bill is a wastage of time since nobody has complained of his/her freedom of worship being trampled on in Uganda. Arua Municipality’s Kasiano Wadri kicked off by confessing to being friends with Nambeshe but wasn’t going to support his bill saying that Catholics can’t accept to be subjected to any form of registration. He said that the catholic church will not support this type of legislation and the mere fact that Parliament can make any laws, except changing man to woman, MPs have better things to do than look at regulating religion. Ssemujju Nganda also admitted to being friends with Nambeshe but wondered why of all the subjects that require legislation in Uganda, why the Bududa MP would settle for religion. 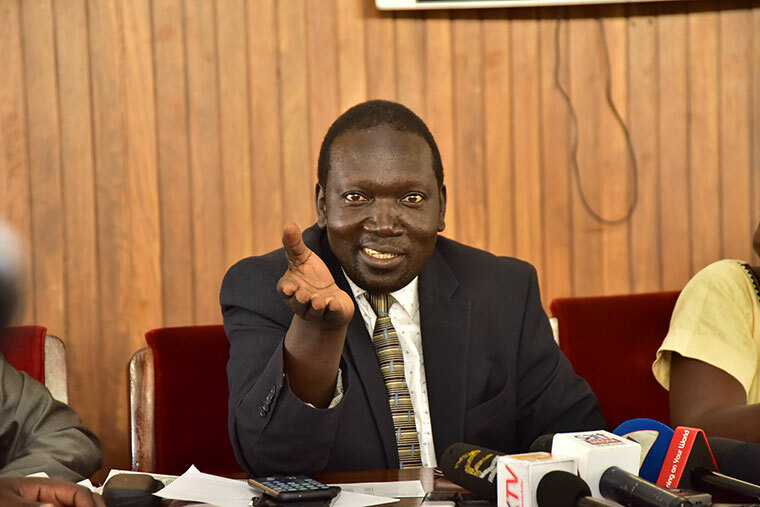 Okin Ojara(Chua West) was the only Legislator in support of Nambeshe’s bill saying it will be critical at curtailing cults that have seen people lose their rights like the case was in 2000 in Kamwenge where Ugandan were burnt to church alive. After attempts to have a vote taken on motion failed because of quorum, the Speaker deferred the debate at a later hour, prompting the plenary sitting to proceed with other business on the order paper.